Some Christians are afraid of seeking to use their imagination for personal or spiritual help because they associate it with Eastern religions, secular psychology, hypnosis, or “New Age” philosophy. But there is a Biblical meditation. God has created human beings with the ability to imagine and the Bible is full of positive images and pictures that can offer us tremendous help! 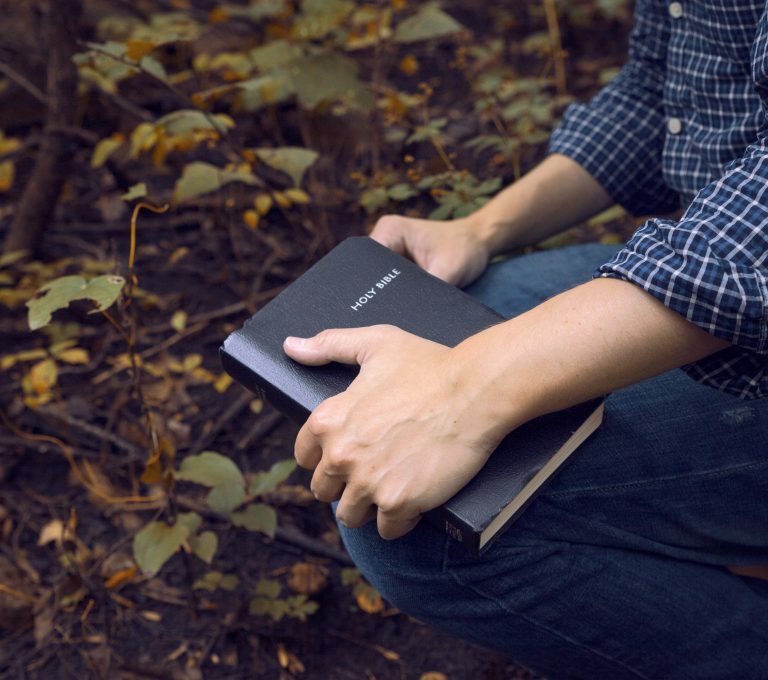 In fact, the frequent use of the present tense in the original languages of the Bible increases its vividness and transports us via our imagination into experiencing its actual scenes and prayers as if they’re happening now — and through the inspiration of the Holy Spirit, the Word of God is indeed speaking to us now! These Ignatian Meditations are one technique for entering into a Scriptural scene. This PDF booklet features instructions, an index of Scriptures with spiritual formation themes, and over 60 one-page meditations that can be printed out and shared. These Ignatian Meditation Guides have been field-tested in Soul Shepherding groups, spiritual direction, and retreats. They’re great for small groups, church staff or elder meetings, retreats, or private devotions. When you’re picking a meditation it’s helpful to look through our index of topics as you pray for God to guide you to the one that will be most helpful for you or your group. The complete set of Ignatian Meditation Guides can be purchased from Soul Shepherding for $9.99 here. Mark 10:35-52: “What Do You Want Jesus to Do For You?” Cultivating desire for Jesus enables us to experience God’s loving presence. Acts 16:6-15: “Paul Discerns the Spirit’s Leading.” Paul shows us how to follow the Spirit of Jesus step-by-step. John 8:1-11: “Jesus Does Not Condemn You!” No matter what our shortcomings or sins, God extends his mercy and grace to us through Christ. Luke 2:1-7: “The Birth of Christ.” Joining Mary and Joseph’s hard journey to Bethlehem, we find surprising hospitality as Jesus is born amongst the animals. Matthew 3:13-17: “The Baptism of Christ Opens the Heavens.” Standing with Jesus in baptism we enter into the Trinitarian society of the Kingdom of the Heavens. John 13:1-17: “Jesus Washes His Disciples’ Feet.” Jesus shows us that true teachers and leaders are loving servants. Matthew 26:20-30: “The Lord’s Supper.” Jesus ministers his body and blood to the Twelve, including Judas, and to each of us. Mark 15:33-39: “Jesus is Crucified and Forsaken.” Mark shows Jesus on the cross, suffering alone and crying out to a God who seems to have abandoned him. Mark 16:1-11: “He is Risen! Jesus Appears to Mary Magdalene.” The first Evangelist of Jesus’ resurrection is a woman he delivered of seven demons. * For the first week Ignatius doesn’t assign Gospel passages because he uses preparatory meditations and prayers of “examen” to foster awareness of our need for God’s mercy and love through Christ. Accordingly, I’ve selected Scriptures that fit the themes in the opening of The Spiritual Exercises. These meditations are a God-send! Thank you so much for investing the time to do these. I am doing a 30-day retreat largely self-directed, and finding the texts and deciding on points of meditation for each is becoming bit of a chore. These will allow me to relax–spend more time praying! I want to know about the process of meditation. Please, can you help me ? Hi Anna, here is a link to our article on Biblical meditation. God bless! Hi Hope, in this article everything that is highlighted in blue with connect you to a meditation if you click on it. Here are a couple to get you started, Spiritual Training and What Do You Want Jesus to Do for You? Hope this helps! God bless you Hope! Thank you, Bill and Kristi, for sharing these meditations. I am not a pastor or church leader. I have simply printed some of them out to use in my own private daily devotions. I have just now discovered these Ignatian Meditations. I have been working through your wonderful Lectico Divina guides since the beginning of August, reading and pondering each one, and writing my thoughts and feelings on the 1st, 2nd and 3rd readings in my journal. Thank you so very much for sharing this. It is such a powerful way to delve into the scriptures. Today’s reading was At the Well of the Living One who Sees Me and I have received much comfort from it. The angel of the Lord went searching for Hagar to comfort and direct her. He can do the same for us. What a wonderful God we serve! With love and gratitude for the wonderful work you’re doing at Soul Shepherding. You’re welcome Beverley. We just got your letter today — what a blessing to partner with you! Probably you’re more of a “leader” than you feel like. You have influence for Christ with people. Maybe there are people who would like you to help them learn how to do Lectio Divina or practice living in Jesus’ non-anxious yoke.